CAT is a city-run public transit service that services the city of Charlottesville, including many areas on Grounds. UVA students, faculty, and staff can currently enjoy free rides on CAT buses. The 29 Express is a daily shuttle from Hollymead and Forest Lakes to Ruffner and Pinn Hall at UVA. This shuttle is FREE to all UVA students and employees. 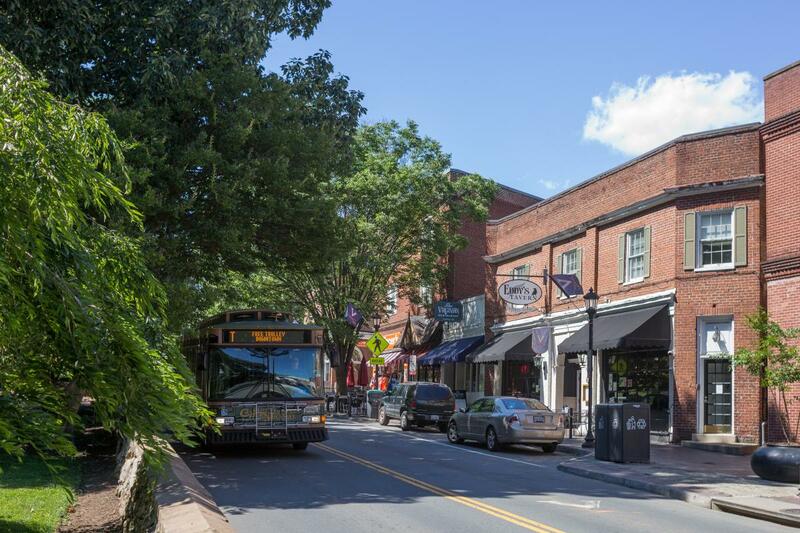 JAUNT provides regular commuter services, to residents working in Charlottesville who live in the surrounding counties. Stops at UVA include Pinn Hall and Lee street. Call 434-296-3184 to reserve a ride. Charlottesville’s centrally located Amtrak station provides easy access to the Mid-Atlantic and Northeast. Home Ride offers convenient service between the Student Activities Building and Northern Virginia, Richmond, and Hampton. Tickets can be purchsed over the phone, at TJ's locker or the Bookstore. The UVaExpress is free, coordinated transportation from Dulles International Airport in Washington, DC and Charlottesville Airport to the University of Virginia just before Move-In. The program is coordinated by the University of Virginia’s Office of Engagement and has been made available to international first year and transfer students by a generous contribution. Greyhound provides affordable and comfortable bus service to cities in Virginia and the surrounding states. Go back and forth to New York City on the Starlight Express, the low-cost, bus that picks up and drops off passengers on West Main Street at the Charlottesville Area Transit (CAT) stop at the top of the steps to the Amtrak station. Megabus offers affordable and comfortable bus service to and from Charlottesville via Washington, DC daily.